The Oppo F5 Youth is powered by ColorOS 3.2 that is based on Android 7.1 (Nougat). The phone has a 16MP secondary camera that lets you take an AI-powered selfie and a 13MP primary camera that records videos at 1080p@30fps resolution. Oppo F5 Youth features a 6-inch LTPS IPS LCD display with a resolution of 1080 x 2160 pixels. What is the weight and thickness of Oppo F5 Youth? Oppo F5 Youth weighs around 152 gram and is 7.5mm thick. Can we take Bokeh images with Oppo F5 Youth? Yes, the primary and secondary Oppo F5 Youth cameras let you take images with the Bokeh effect. What is the expected battery life of Oppo F5 Youth? The Oppo F5 Youth battery life has an endurance rating of 91 hours and provides a talktime of up to 23 hours (3G), and video play time of up to 11.5 hours. Where can I use the EMI Network Card? You can use the EMI Network Card across all Bajaj Finserv partner stores. You can know more about the partner stores online or by logging into Bajaj Finserv wallet application. In how many instalments can I divide the amount? 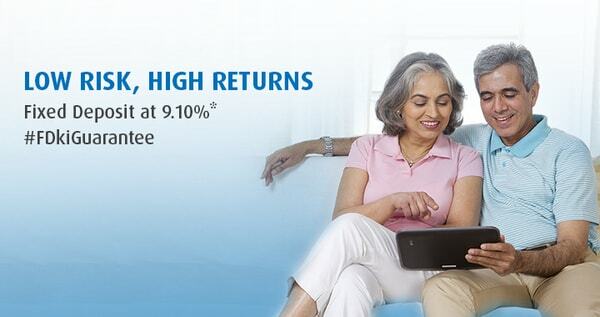 Bajaj Finserv provides flexible repayment tenors of 3, 6, 9, 12, 18 and 24 months. You can choose a tenor that best suits you. What are some of the best Oppo models under Rs. 15,000 that I can shop on the EMI Network? Some of the best Oppo smartphones under Rs. 15,000 available on the EMI Network include Oppo Realme 1, Oppo A83, Oppo F5 Youth, and Oppo F1 Plus. Some of the latest Oppo models under Rs. 20,000 include Oppo F3, Oppo F5, Oppo F1s, etc. Oppo F5 Youth was released in December 2017 with the 16MP front camera as its unique selling point. Oppo F5 Youth specifications include a MediaTek MT6763T Helio P23 2.5GHz octa-core processor paired with Mali-G71 MP2 GPU. The 3GB Oppo F5 Youth RAM is paired with 32GB internal memory that can be expanded to 256GB with the use of a microSD card. Oppo F5 Youth benefits the user's privacy with its fingerprint sensor lock. The 6-inch FHD+ display has an 18:9 aspect ratio and 402 ppi pixel density for a better viewing experience. Oppo F5 Youth price is set above Rs. 14,000. You can buy this phone through Bajaj Finservs EMI Network. You can visit a Bajaj Finserv partner store; submit KYC documentation and a cancelled cheque to avail an EMI loan. To know more about in-store financing, you can talk to a Bajaj Finserv representative. With 43000+ stores spread across 950+ cities, you will easily find a store near you. Bajaj Finserv offers EMI loans with repayment tenors of up to 24 months to help you divide the entire amount into easily payable instalments. EMI Network Card holders can use their card to make the purchase. All loan details, like the payment schedule and interest certificates, will be available on Bajaj Finservs online customer portal Experia.